Disposable diapers are convenient and can be purchased readily at most retail outlets. Disposable diapers are easier to dispose of when traveling. Disposable diapers are more absorbent. Disposable diapers do not leak as much as cloth diapers. 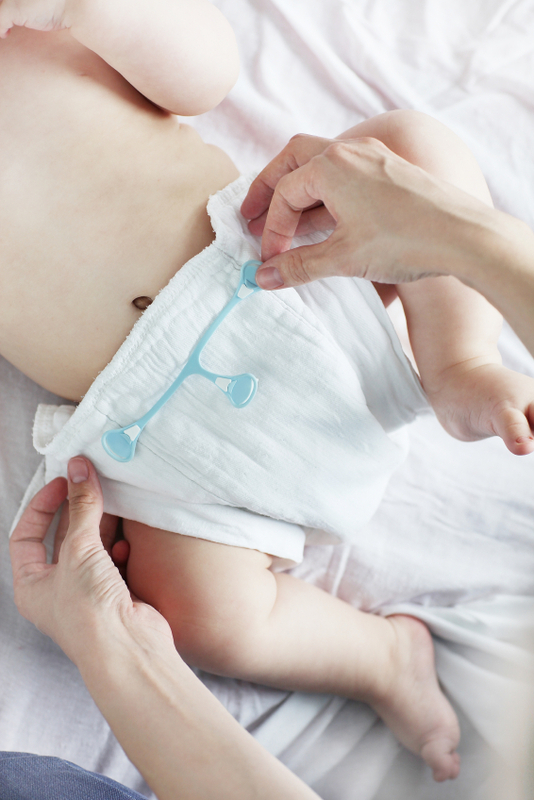 Disposable diapers have ready-made built-in straps. Disposable diapers come in sizes that are appropriate to baby’s age and weight. Many day-care facilities require the use of disposable diapers. Cloth diapers can be less expensive than disposable diapers. It is easier to tell when baby is wet using a cloth diaper. Some types of cloth diapers can use Velcro straps instead of pins. Cloth diapers do not have the dyes and chemicals present in disposable diapers. There is debate on whether cloth diapers are more environmentally sound than disposables. On the one hand, disposables certainly take up a lot of space in landfills. On the other hand, cloth diapers use a great deal of water and electricity. There is also debate over which type causes more diaper rash. Advocates of disposables claim that, especially with super-absorbent diapers, baby’s bottom is almost never wet. Advocates of cloth diapers argue that these diapers lead to less changing, and therefore more rashes. They also suggest that the elastic will cause chafing. Allergies are another concern. Some children may be allergic to materials in disposable diapers; often, switching brands will resolve this problem. Some children may be allergic to the detergents and fabric softeners used with cloth diapers; switching to allergy- and dye-free detergents and fabric softeners may solve this problem. Baby sleep can be an issue for some babies when thinking about diapers. Cloth diapers let a baby know when he’s wet much quicker, which can mean more waking during the night. On the other hand, as has been mentioned, disposables may possibly cause more diaper rash because your baby is wet longer. When deciding on whether to use cloth diapers, it is important to sift through the rhetoric. Those who are militant advocates of cloth diapering sometimes claim that there are wild conspiracies orchestrated by diaper companies. Those who are militant advocates of disposables often don’t listen to the genuine concerns of the other side. Ultimately, this is your decision, and you have to decide what is best for both you and for your baby.